Once again the sacred seasonal wheel reaches one of eight markers, signifying a transition. Today marks the Vernal Equinox, Mean Earraigh, where day and night are balanced as we celebrate Spring and fertility. Aligned in the spirit of community my friends and fellow bloggers have joined together in a circle with thoughts and impressions of GreenWitch natural perfume. 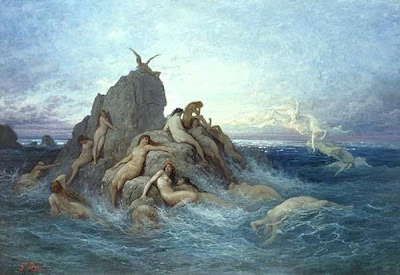 The fragrance has been reated as an offering to Tethys, the Greek aquatic sea goddess. At the bottom of this post please follow the links to each of the blogs participating. In the story we learn that the gift is to the White Lady, Tethys, who governs and rules the sea. 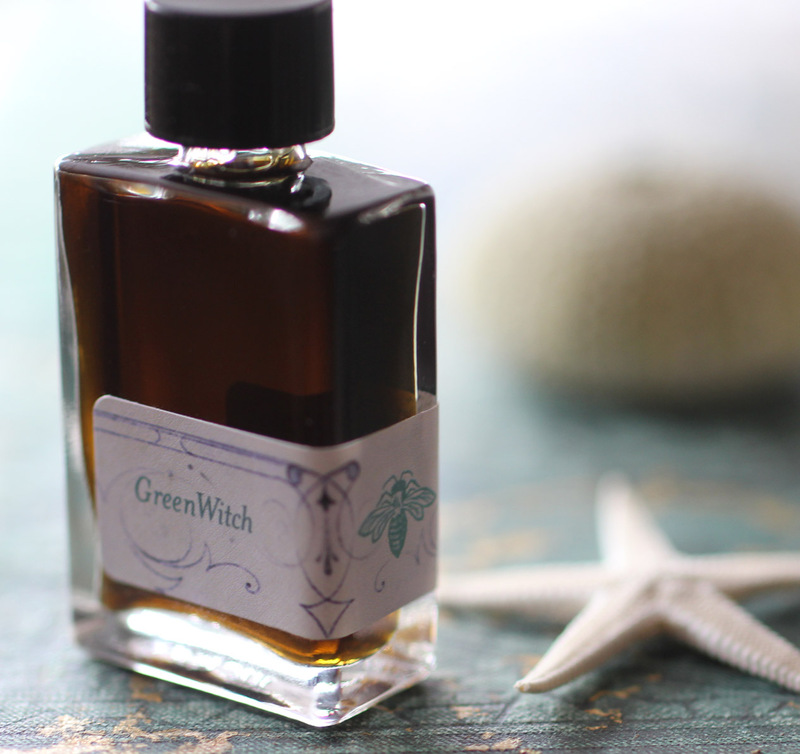 GreenWitch, the character and the perfume, defies genre as it is neither feminine nor masculine. As a gift to Tethys, it's mother, the framework of the effigy is Hazel with Rowan for the head and Hawthorne boughs and blossoms for the body. 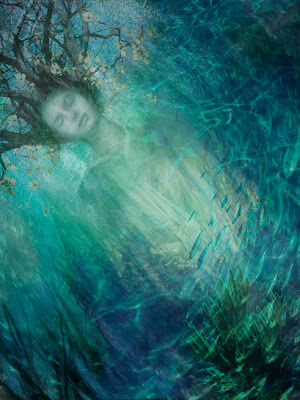 Once the large looming figure of the GreenWitch is complete local maidens approach, touch the image and ask for a wish. Only one young maiden makes a selfless wish. As the first light of dawn is seen out on the horizon, the fisherman cast the intention filled mass of bough and blossom down into sea to the White Lady. Tethys, daughter of Gaia, is one of the Titans in Greek mythology, mother to thousands of daughters called the Oceanids. GreenWitch, beholdent to Tethys and the Wild Magick journeys to the deep to see her mother with a secret. This story moves my soul each time I read or listen to the audio book, obviously it has struck a resonant chord deep within. I've learned to follow that gong inside in creating art and thus bring you this new fragrance. 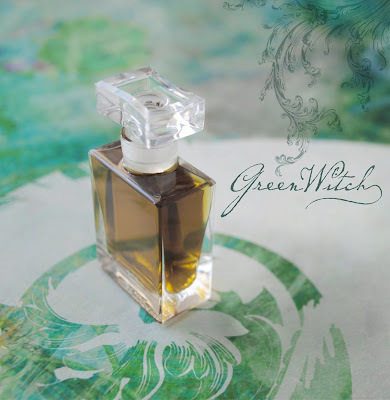 GreenWitch as perfume follows the formula of a traditional Chypre where Oakmoss and Labdanum in the base are balanced with Bergamot in the top. Balance is one of the main themes of Mean Earraigh as the light is evenly matched with the dark. As you anoint your self ask for a wish and know that a percentage of the profits from the flacon support GreenPeace. The perfume is available as a liquid extract in the glass bottles and in a solid, cream format here. Please take the journey to the listed blogs where more scented tales await. The Making of the GreenWitch and the original post at Sniffapalooza Magazine . 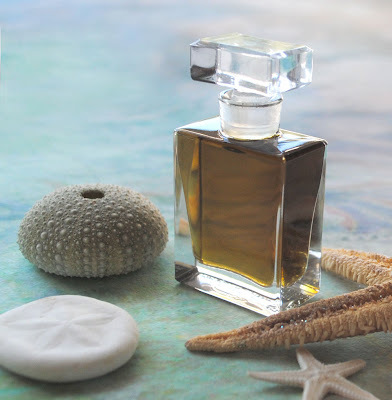 Beautiful idea, a marine chypre, can't wait to try it. I love that your reading has such power to inspire your own work so much. I wish you much happiness too Rox. Thank you for creating such a gorgeous fragrance. I love the terms being coined around it; Sea Chypre and Marine Chypre....fabulous! I don't know if Sea Chypre is its own official genre yet, but it should be, and this one is the archetype! It is a masterful balance of the Chypre structure combined with the ingredients evocative of the ocean, and the result is pure magic. Bravissima! The idea of combining sea and chypre is very Aphrodite-like and can't but have me intrigued. It's not often that perfumers utilize sea ingredients as actual components, instead of relying on the sea-spray synthetic accords. For that, a tip of the hat. I love the GreenWitch and it means so much to me to be able to help introduce her to the world. Thanks for the opportunity to be a part of something so profound. The Goddess is indeed playing in the world today! I've read all the posts and this really sounds wonderful especially when understood in the context it was created. I'm liking these terms like marine chypre, I hadn't quite thought of it that way until this blog-o-rama. Yes, indeed, stories are one of my muses. Wafting happiness, thanks so much for being part of this oceanic affair! Thank you Flora, those are some mighty wonderful words. Gratitude coming your way. Ah, yes, Aphrodite...hmmm, more on that soon. Thank you love, I feel quite honored. Thank Ines, please share your thoughts once you get a sample. I love hearing how the fragrance evolves with everyone's unique base accord, the skin.